The vinyl fronts on these 9 cases allow you to easily see what's inside. They're made 'in your hoop'. 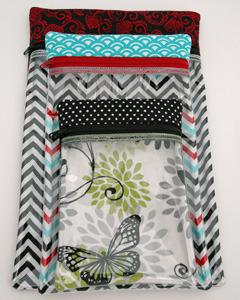 The 9 cases in this set are all made completely 'in your hoop. Our See Through Cases have vinyl fronts so you can easily see the contents. 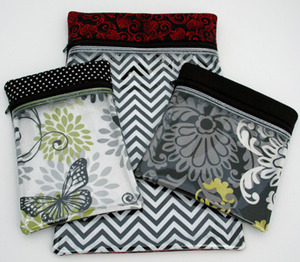 These cases are so versatile and can hold a variety of items. 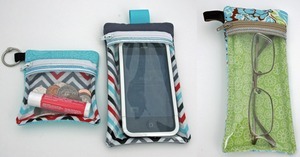 There is one designed for an iPhone and one for eyeglasses. 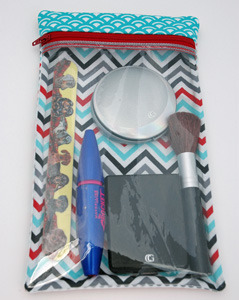 They can hold makeup, change, girlie products, pencils . 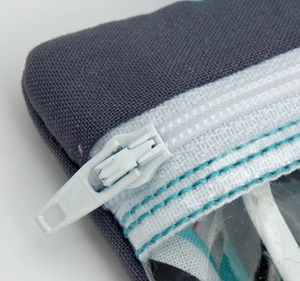 . .
All of our cases have reinforced stitching holding the vinyl to the zipper. For size comparison, the 5x7, 6x10 & 8x12 cases. 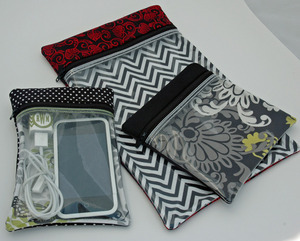 iPhone Case and Eyeglasses Case are included.